The Rowan women’s soccer team improved to 12-0-1 with a 1-0 victory over Rutgers-Camden on Wednesday. After allowing their first goals of the season, the Profs got back to shutting down the opposition’s offense. On the bright side, it took 12 games for the opposing team to find the back of the net. 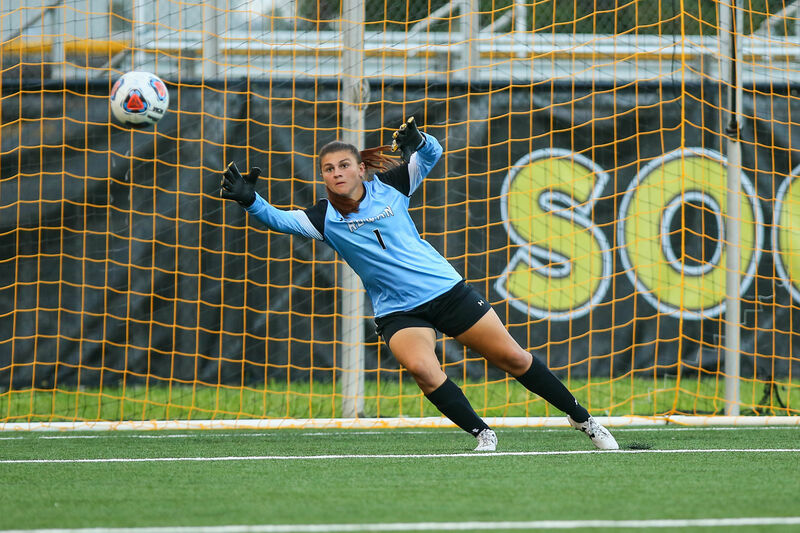 A catalyst for this success can be found in goalkeeper Shelby Money. Money, the sophomore from Vineland, New Jersey, has lived up every bit to her last name. 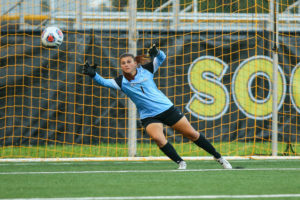 Montclair State was the first team to score on her all year, and she still made four vital saves to make sure the Profs walked away with the victory. Money has made 34 saves on the year while allowing only two goals. That gives her a goals against average of .18, and a save percentage of 94.4 percent, both dream stats for any keeper. Those stats, as incredible as they might be, only show part of the impact Money has had on the overall team success. 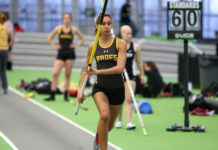 The Profs are currently ranked No. 14 in Division III in the NSCAA coaches poll and are outscoring teams 48-2. There is no question Money has been vital to the team’s historic play. “She’s one more year seasoned, which makes a huge impact,” Leacott said. Money, who is in her first year as a full-time starter after splitting time with Courtney Simpson last season, echoed her coach’s statement. Lost in the spectacular season that she is having this year, is that fact that Money had a very good freshman season. She started 12 games for Rowan, compiling a record of 10-1-1. 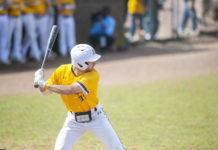 The brown and gold won the conference and ranked first in the New Jersey Athletic Conference in save percentage, with a stoppage rate of 88.9 percent. Those numbers were not good enough for the keeper. Money stands at 5 feet 5 inches, which she admitted was small for a goalie. One thing that she worked on in the offseason was making sure she could push the ball over the crossbar. With the season that she is having, it’s safe to say the offseason work is paying off.